This month Bangalow Business Women’s Network was honoured and pleased to present Rebekka Battista. She left all with a lot to think about – most of us discovered we leave very little time in our schedules for fun with family and friends. 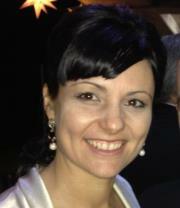 Rebekka Battista is a local girl who currently is the Our Kids Fundraising Coordinator. Based at the Lismore Base Hospital, Rebekka has been instrumental in raising awareness about the need to improve the health services for our children in the Northern Rivers area and the importance of raising funds with the help of the local community, she has inturn raised the funds to purchase over $1 million of paediatric equipment for our local hospitals. She currently balances charity work, paid work, church activities and a busy family. This is a woman who manages her time so that everyone in her life gets the very best of her. There is certainly a lesson for all in that! Here are Rebekka’s helpful questions and tips for getting your time in order. 1. Do you take/have a time out? 2. If you have one, do you spend with your partner? 3. When and what do you do to laugh? 4. Do you use a diary? 5. Do you exercise? If not why? 6. What relaxing you? When do you do this? 7. If you have family, what do you do as a family? 8. Do you have friend time? If not why? 1. What do you love to do? Schedule it into your week first – no excuses. 2. Plan your home time: Work it out with your family. Write your weekly household schedule/roster. 3. Plan your week, for example; Thursday morning are my meeting days. Wednesday arvos is filing. Bookwork is Tuesday morning. 4. Know your optimum time in the day and plan the hardest or least liked job for this time. 5. Task list or To Do List: Prep list, then Prioritize your tasks by Number. Go through the list and group, i.e. all phones calls together. In other words, deciding which task is most important and should be completed first. Is it more important to write letters or do bookwork? Do them in that order. 6. Put reminders in your email calendar and link them to your phone. 7. Schedule surfing the web or network media. 8. For those who take minutes at meeting: Take a laptop and do it on the spot plus have action/task column and assign them. 9. Take five minutes to Plan your day before you go home and make a time where you plan or ‘map’ your following week. Everyday is only 24 hours .